With this book, IAH aims to provide a comprehensive evidence base for how groundwater has contributed to reducing poverty, increasing resilience to climate and environmental change and helping to develop equitable growth. 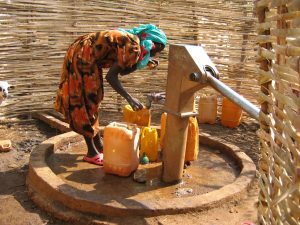 Groundwater plays a fundamental, although often underestimated, role in poverty alleviation, but case studies and examples are lacking in the academic literature, particularly those that demonstrate the impact that groundwater development has had on households, communities and regions. This missing voice has hampered the ability to demonstrate the positive role that groundwater development can have and the importance of developing groundwater sustainably. The book will present a collection of key studies from Africa, Asia and Latin America on how the development of groundwater is transforming communities, both in reducing poverty and also promoting economic growth. Such case studies are rarely captured and this collection would form a unique dataset which can be drawn on both by academics and policy makers interested in how groundwater is making a difference. We invite interested authors to submit their proposal for chapter(s) for this book that will be published within the IAH series.